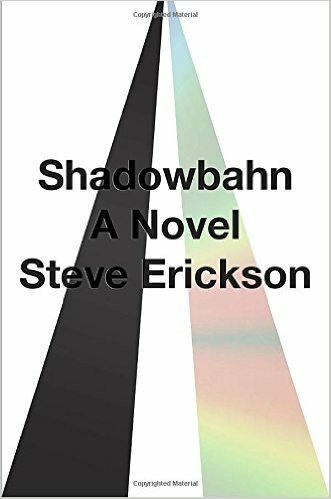 Set in a dystopian near future, Shadowbahn is a chronicle of a weird road trip, a provocative work of alternative history, and a discography of the twentieth and twenty-first centuries. A meditation on the meaning of American identity and of America itself. It’s hard to know where to begin. Steve Erickson’s 10th (10th!) novel is: compassionate, weird, unpredictable, jaunty. It’s sad, and it’s droll and sometimes it’s gorgeous. Some readers will be confused by its 'plot' until realizing there’s little point trying to figure out what exactly is going on. Others will find their footing in Erickson’s supremely engaging interest in the landscape of American music ... It’s really not a novel in which (snore) A and B do X, Y, Z. It’s more like a polyphonic dirge for an America that has perhaps never lived anywhere but in the imagination of those of us who keep fighting for it anyway ... Erickson has mobilized so much of what feels pressing and urgent about the fractured state of the country in a way that feels fresh and not entirely hopeless, if only because the exercise of art in opposition to complacent thought can never be hopeless ... The mockery, longing and disillusionment of this music are splashed all over Shadowbahn ... In 2017, it reads like an answer to and sanctuary from the American Century to come. This is an extremely timely novel, as much by unfortunate accident as by design. If Hilary Clinton had won in November Shadowbahn still would be a profound precautionary tale, but Donald Trump’s election lends it a portentousness Erickson himself couldn’t entirely have seen coming ... Erickson is a master of refraction. His narrative fractals fit together exactly at the point you think they’re about to fall apart. But the parallel world we enter when reading Shadowbahn is a serious confabulation. We witness mass cultural amnesia as characters float through an America pervaded by uncertainty, fractured by a sweeping Disunion movement. This book is not a political novel because it deals in hinterlands. It isn’t topical or tabloid. It’s a book not so much about American history as about American memory ... This unconditional approach to art over business makes Erickson’s work an antidote, arriving at a pivotal moment. Shadowbahn will be an epoch-defining book in Trump’s America. It’s an American Heart of Darkness almost by accident. What did you think of Shadowbahn?